It only took me a year but I finally have new wheels on my Viper! They’re the same style as I had before but these are a separate set of wheels that have been painted a gun metal grey. They look lighter in these photos than they are in person. The stock polished chrome look was too blingy for my taste and too hard to keep clean. Getting these new wheels on my car though has been an absolute nightmare. Here’s what amounts to a short essay on all of what I’ve gone through. 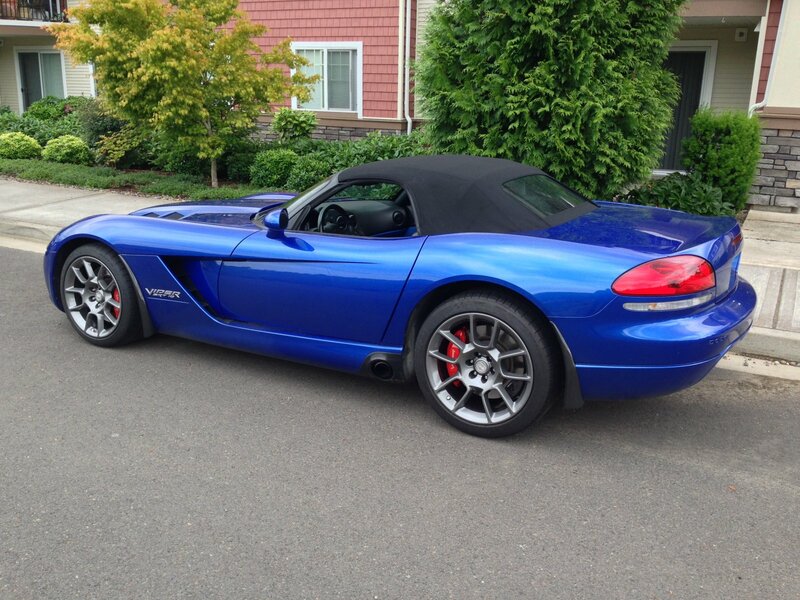 I originally wanted to get one of the wheel designs that come on the 2013 Viper. 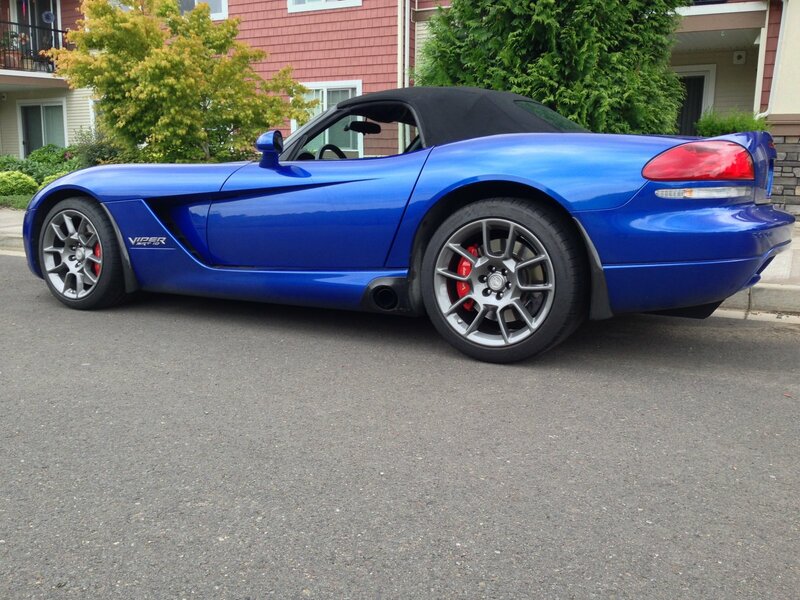 However the front wheel on a 2013 Viper is 10.5″ wide instead of the 10″ wheel that my car uses. This means that it sticks out about a quarter inch farther than my current wheels do. I thought this would be noticeable or cause problems so I started looking for other solutions. 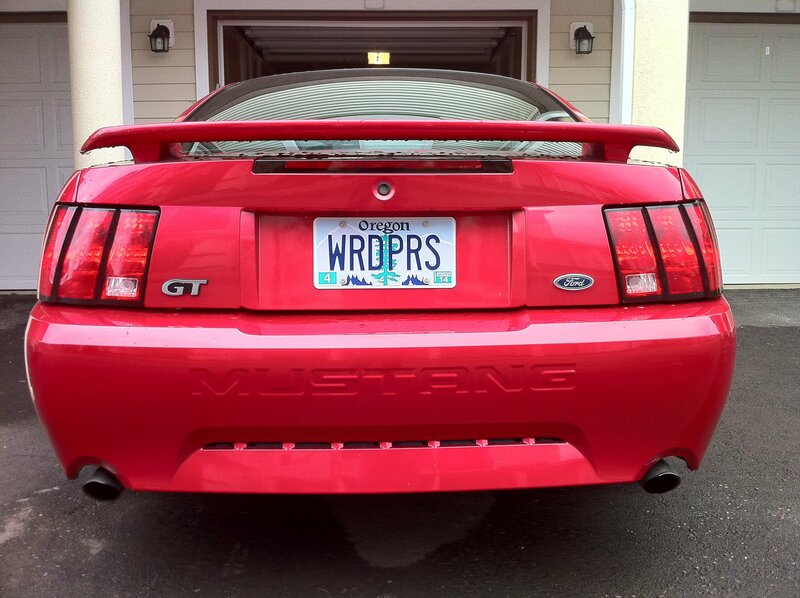 Around that time (last Spring of last year), I found a set of my wheels that had been refurbished and painted Hyper Black on behalf of the national Viper club’s parts store. This seemed like the perfect option as they were the right size and the color I wanted. So I bought them, even though these wheels had no refunds. When they arrived, they were dented and chipped due to the process of being shipped. They were very poorly packaged, only having bubble wrap on the faces of the wheels and nothing else in the box! FedEx took them back and parts store had a new set prepared for me and shipped out. After the replacements arrived intact, there was a tiny crack in the clear coat but I wasn’t concerned enough about it to go through the hassle of trying to get it replaced yet again. I was really fed up with the seller at that point and wanted to just forget about the wheels. So I put them in my garage, planning on getting the clearcoat crack fixed in the fall when my car was out of commission. When I finally took the wheel to a wheel repair shop last winter, it was pointed out to me just how horrible of a paint job the seller’s painter had done. There were runs in the bolt holes and the backs of the wheels weren’t primed and likely wouldn’t even hold air well. Great. So I shelled out even more money to get them sanded and repainted to a quality that I had wanted in the first place. My car was in storage for the winter so I told the painter to take his time. Unfortunately a month or two later he called me to inform me that one of the wheels was warped into an oval! He had somehow missed that during initial inspection and only realized mid-way through preparing them for paint. Adding to the problems were that the national Viper club had gone through a complete management change due to mismanagement by the previous leaders. None of the people who I had previously dealt with at the parts store were there anymore so I had to explain my issue. Thankfully the guy who had newly been put in charge of the parts store took great care of me and sent a replacement wheel to me free of charge and well packaged in its box. That’s the kind of customer service I should have gotten the first time around. Finally however the wheels are done! That’s the important part and my wheel repair guy has been absolutely stellar through all of this. At least one part of this whole nightmare was a good experience. For now I’m just happy to have new wheels and not having to worry about them anymore! They’re in reference to Top Gear’s Stig character, an anonymous racing driver who’s identity is unknown.